I have read that the name ‘Two Rock’ does not appear before the 19th century. 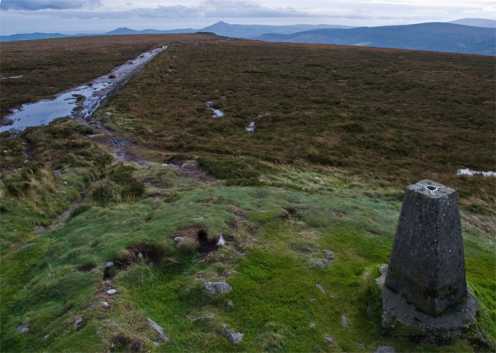 In earlier maps, it seems, the place is referred to as ‘Black Mountain’, which, to my mind, is a perfect description of the mire that walkers have to trudge through on some of the approaches. The highest point on Two Rock is marked, of course, by the pre-historic cairn known as ‘Fairy Castle’ (O 1721 2238 F), on top of which a more recent pyramid or cone of rocks continues to grow at the whim of latter-day Flintstones. The original cairn underneath stands almost 3m high today, though it would be logical to think it has shrunk over the centuries through subsidence and erosion. I have seen reference to the remains of a kerb around the outer edge of the cairn, of which twenty-two stones are supposedly still in position, but today’s cloak of earth and vegetation makes it rather difficult to verify that. I am surprised to find no reference to any excavation of the cairn, especially since it has been surmised that it may contain a chamber similar to the one on Seefin. What strikes me most about this somewhat bleak though splendidly panoramic mountain is the fact that there are so many other prehistoric monuments on all sides. There is a burial cairn on Tibradden, a wedge tomb at Kilmashogue, and another at Ballyedmonduff, all within a short walk. It shows that from the late Stone Age onwards there were well-organised social communities living close to this mountain and climbing it like ourselves, though not, I suppose, with the same recreational intentions. 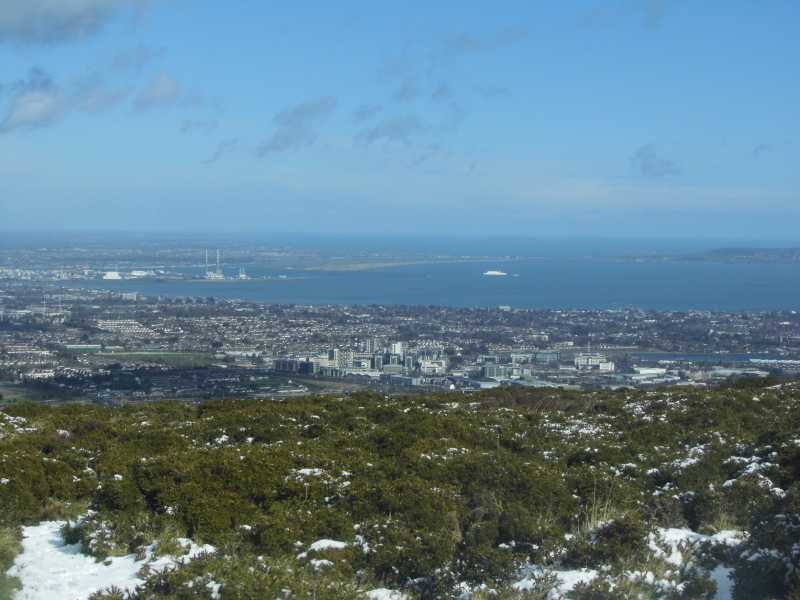 Picture from TommyV : Dublin City from Three Rock mountain. 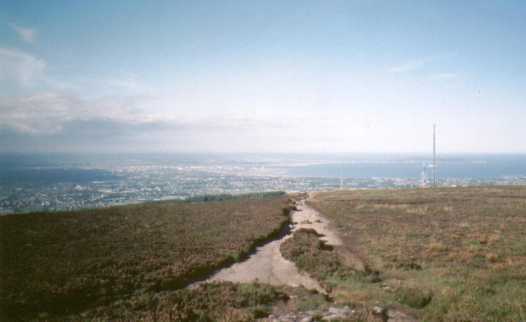 Picture: Dublin City from Three Rock mountain. Was up Two Rock on Jan 20th - walked from Pine Forest to Two Rock and back again. Great visibility but very cold especially when walking back to Pine Forest into the teeth of the wind.